Exploring the WebRTC evolution and how it can change service provider and enterprise IP communications. Explaining how to optimally integrate WebRTC applications into the existing VoIP and video infrastructure using mediation elements such as session border controllers (SBCs). Showing how IMS can leverage the expected universal availability of WebRTC-enabled browsers to host communications clients, while assuming that the audience is familiar with WebRTC design principles. Discussing the key scenarios requiring push notifications and the potential standards-based solutions to address these requirements. 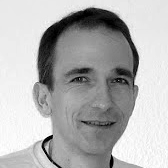 What makes WebRTC a potential driver for telco innovation? OTT VoIP players are disrupting the telco space for several years now. WebRTC, as a new standard, has the potential of disrupting OTT VoIP players and become a real boon for telcos. Summarizing what WebRTC is, as well as what the disruption behind is. Describing early implementations. Stressing some key items like identity, quality of service of the media and regulation issues. Discussing the critical points related to the interworking between WebRTC and the “PSTN” world. Describing the development and characterization of a web-based conferencing service, a research project of the IIT RTC Lab entitled ‘Voice and Video on the Web’ (VVoW.) In its first version in 2011, the solution was Flash-based. The system has been redesigned to be RTCWeb-compliant and to use HTML 5. Discussing different options for expanding the system for large-scale deployment. WebRTC is an exciting new technology that many large enterprises see as a potential cost saving for their remote workers (be there home, mobile or other). However, existing enterprise telephony infrastructures do not use or conform to many of the of advanced standards being presented by the current implementations of WebRTC in the browser. Examining two use cases and the challenges faced. Presenting a VoIP client integrated with the operator’s IMS network. It runs in the browser and requires 0 extensions/downloads, and overcomes the connection issues caused by firewalls. 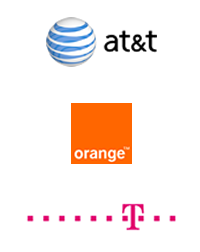 It’s like Skype, but now with mobile operators on charge. The solution takes advantage of the latest HTML5 features to capture the audio and video capabilities of the device, and the Websockets to audio transport. 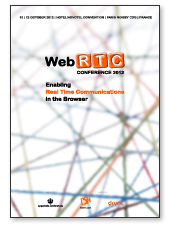 WebRTC provides a simple and elegant solution for real-time communication. At the same time, it leaves all signaling and architectureal questions open. What can companies do to close this gap in WebRTC infrastructure and how will it assist the ecosystem to grow and flourish? What are Telcos Specific Needs?